Every minute without data access means lost productivity and opportunity. Every company needs a data protection policy for reliable data management and recovery. Data Protection is an essential part of successful business planning. There’s no room on the schedule for a data crash or file corruption. The stakes are too high: lost income, compliance violations, and a critical loss of client confidence. With RenovoData, companies enjoy the best cloud backup on the market, with scalable solutions for affordable data storage, redundancy and recovery. 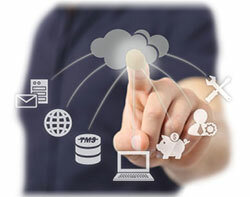 It’s offsite data backup, server security and data protection for virtually every business. Since 2006, leading small to midsize operations have counted on RenovoData to safeguard data assets. RenovoData configures the best cloud and offline solutions for data protection, server recovery, high availability access and restored communications. Get a custom quote now or share your challenge with a RenovoData data protection consultant.